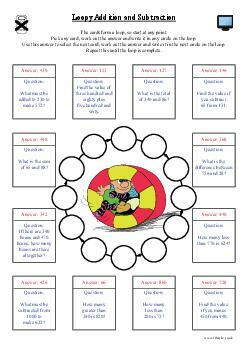 Cut out the cards and place them around the classroom or just use as a worksheet. Start at any card. Find the solution to the addition or subtraction worded question. The answer leads to the next card. Stop when you have completed one circuit!